One of the most talented Gond artists we have today, Bhajju Shyam is from the tribal village of Patangarh in Central India. 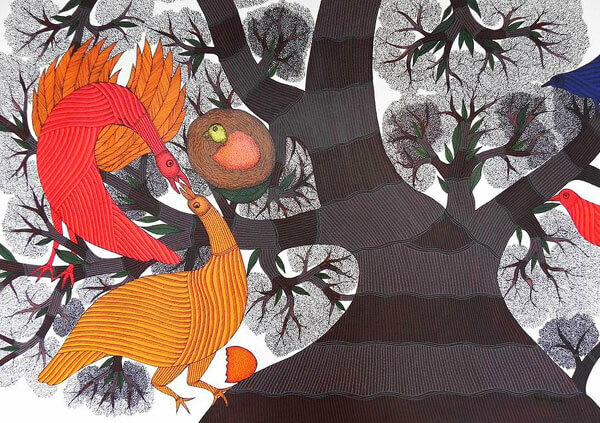 His talent and drive have propelled Gond art from the village to the international art arena. Bhajju will talk about his art in a conversation with Edward Wilkinson, Executive Director of Bonhams Asia, a specialist in Indian, Himalayan, and Southeast Asian Art. Bhajju will also be exhibiting his Gond collection at the Bonhams Gallery and will be conducting workshops at the Festival.